Emmy Nominations: Who Got Snubbed? 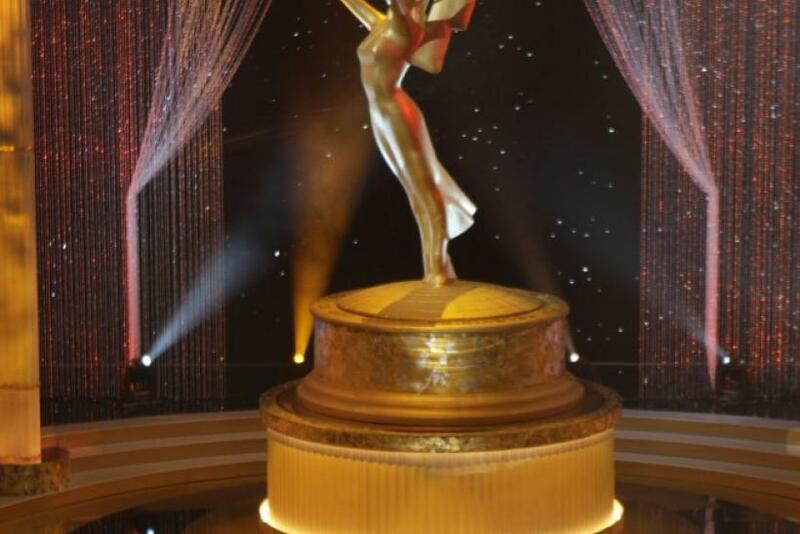 The Academy of Television Art & Sciences have announced the nominees for the 63rd version of the Emmys. There were a lot of familiar faces and a plethora of newcomers. Mad Men, the AMC drama about the 1960s centered on an advertising firm in midtown Manhattan, had an impressive 19 nominations. The drama starring Jon Hamm and Elisabeth Moss has won Outstanding Drama Series three years in a row and is looking to make it four this year. Last year's Comedy Series winner, Modern Family, received 17 nominations. Boardwalk Empire, the new HBO drama on the 1920s, received 18 nominations. Game of Thrones, another new HBO drama, scored 13 nominations. Parks and Recreation and The Big Bang Theory joined a field of previous Outstanding Comedy Series nominees. In the actor race, there will be a new winner lead actor in a drama series with previous three time winner Bryan Cranston not eligible. Lead female actress in a drama will also have a new winner since Kyra Sedgwick, last year's winner, was not nominated. The best comedy actor field is loaded with mainstays Jim Parsons, Alec Baldwin and Steve Carell joining a trio of newcomers Louis C.K., Johnny Galecki and Matthew Leblanc (who was nominated for his role as Joey on Friends). This year, the Emmy nominators recognized a wide variety of high rated network shows (The Good Wife, Glee, The Office, The Big Bang Theory) as well as smaller basic cable gems (Justified, Louie). It seemed to do a good job spreading the wealth with its nominees. Despite this, there were certainly some snubs. Here's a list of a few people that deservedly have some qualms with their names being left off the ballot. David Simon: First, the guy had a whopping total of one nomination for the critically acclaimed HBO dram The Wire. Now, his newest HBO show, Treme, also gets left in the dust. Not only that, it watches fellow HBO dramas Boardwalk Empire and Game of Thrones (both deserving by the way) get nominated. Ouch. Kyra Sedgwick: Listen, I'm not a fan of The Closer by any means. But Sedgwick won the Emmy for Outstanding Lead Female Actor in a Drama Series last year. How does she not at least get nominated? Nick Offerman: Don't get me wrong, I'm a huge fan of Modern Family. But it's a crime against humanity that all four of its male actors (save for the youngest Dunphy, Luke, portrayed brilliantly by Nolan Gould) got nominated for Supporting Actor in a Comedy Series and Offerman didn't. Offerman's Ron Swanson is one of the main reasons to watch, Parks and Recreation. Considering how funny the show is and the scope of its cast; that says a lot. Neil Patrick Harris: Again, not to harp on the Supporting Actor in a Comedy Series category but Harris is the reason to watch How I Met Your Mother. Jeremy Piven won about three of these awards for this reason alone for his role on Entourage. Harris was nominated for many years without winning. Now, he can't even get a lousy nomination? Community: Admittedly, this show is not for everyone. It's very meta and could be considered the anti-typical sitcom. Naturally, these shows almost always get ignored by the Emmys. (I'm in shock Louie managed to get any nominations). Still, Community deserves some love - whether its show runner Dan Harmon and his writing staff or the excellent ensemble led by Joel McHale. To have it completely overlooked is a shame. Katey Sagal: Another critical favorite that was ignored by Emmy nominators. Katey Sagal does wonders on the show as Gemma Teller Morrow. Even the Golden Globe voters acknowledged that and gave her the award last year for female actress in a drama series. So naturally, the Emmy nominators snub her. It's got to piss off Sagal that her former television hubby Ed O'Neill got nominated for his role as Jay Pritchett on Modern Family and she got ignored. Ray Romano: Not that Romano really needs another Emmy (he won one as Ray Barone on Everybody Loves Raymond) but he should be recognized for his role as Joe Tranelli on Men of a Certain Age. If you are going to recognize Andre Braugher (and deservedly so), why not Romano? Any other big snubs I missed?